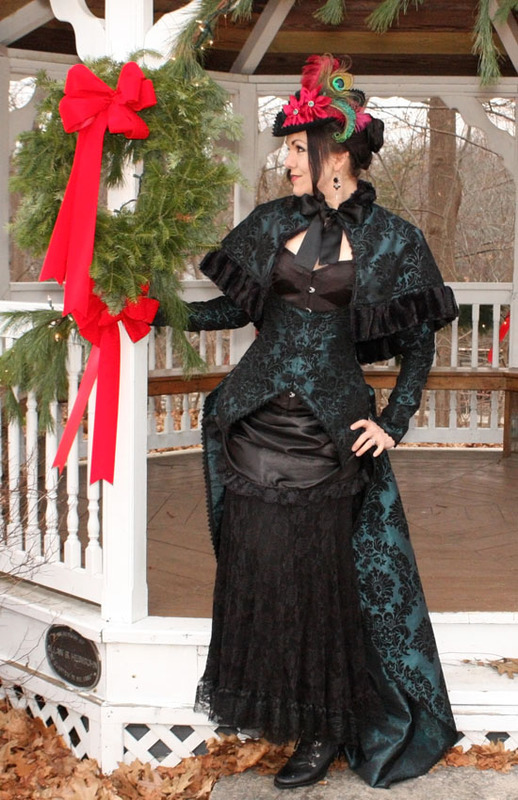 I thought I’d take a second to share a few pics of my holiday gown. 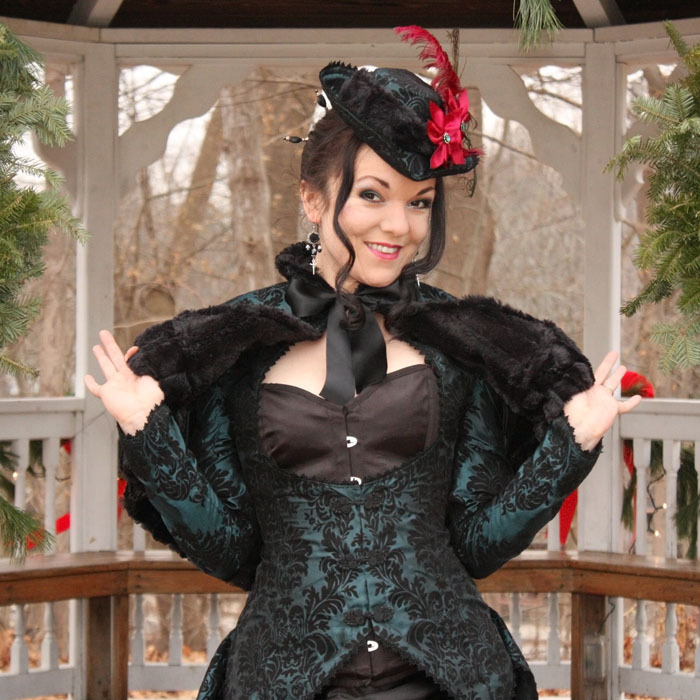 It’s a long sleeved version of “Victorian Vixen” with a matching capelet for a bit of extra warmth. I’m still wearing lace but notice the lack of see-thru-ness? 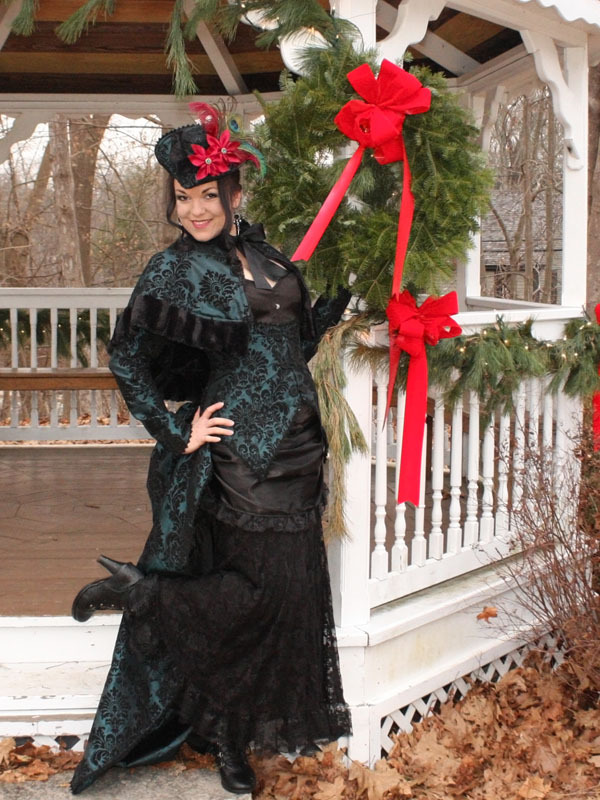 It’s the best quick and dirty trick to make my line of very lacey clothing carry over into winter times. Sweater leggings, a black maxi skirt from my street clothes, and then the lace skirt over the top. 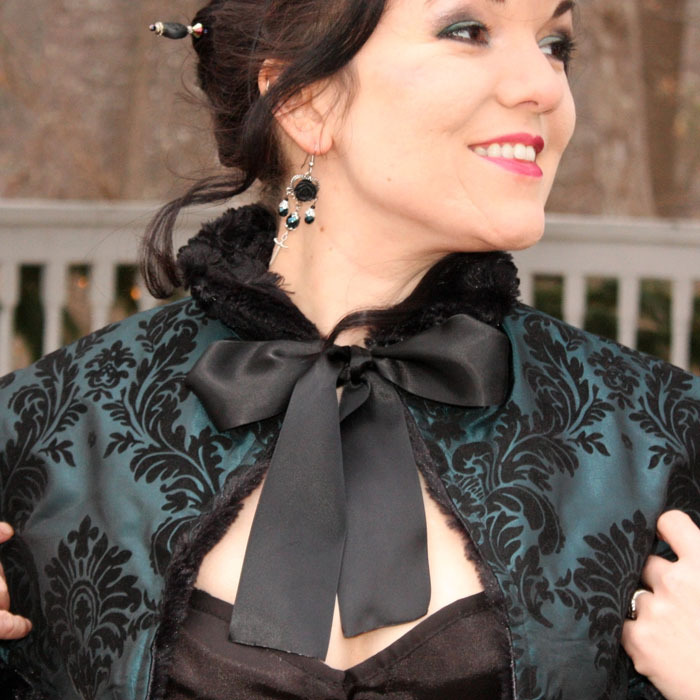 And the capelet – OH the capelet! Have you ever felt minky faux fur before? It’s the stuff that faux fur baby blankets are made from – uber soft and thick. The issue with using it in clothing, is it usually only comes in boring pastels. 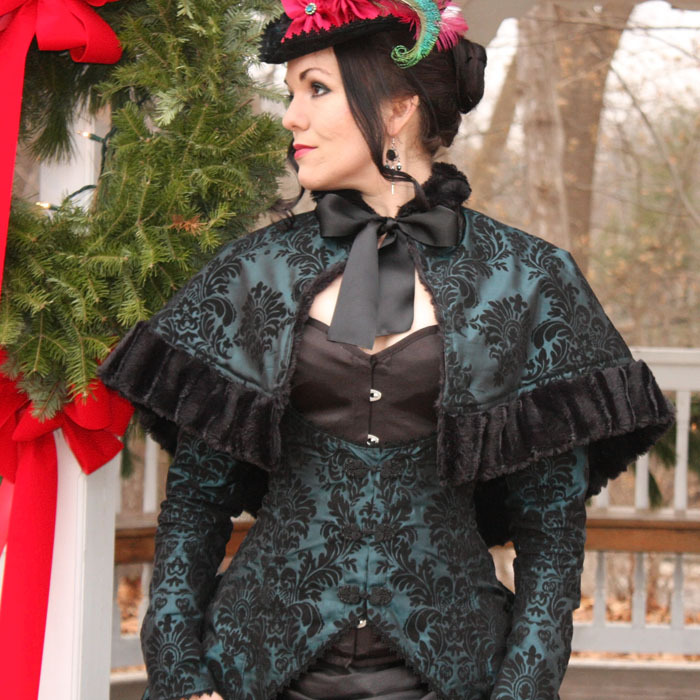 I was elated to find it in black, and a bunch of beautiful jewel tones, from one of my fabric wholesalers. And yes, the ENTIRE inside of the capelet is made from this softy-soft fur. Which means technically, it’s reversible. Me personally, I cannot allow my shoulders to part with the softness. But in a pinch, it would give you a fur capelet on the reverse side. I do have plans to make capelets with fur on both sides to solve this issue.